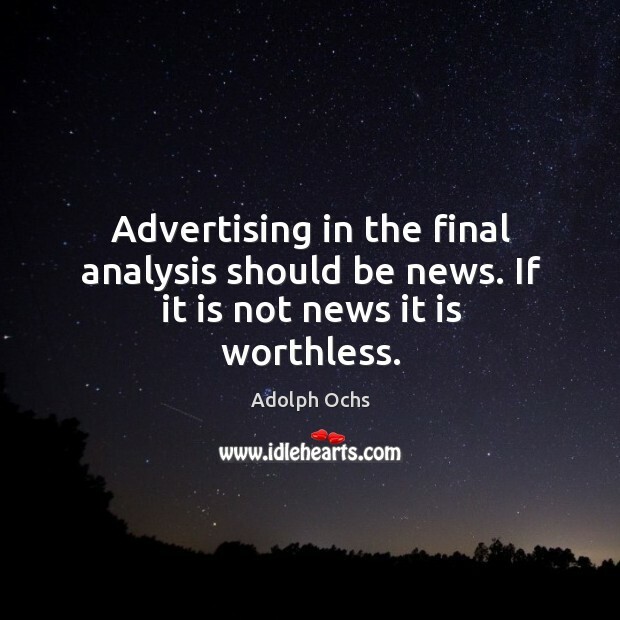 Enjoy the best inspirational, motivational, positive, funny and famous quotes by Adolph Ochs. Use words and picture quotations to push forward and inspire you keep going in life! 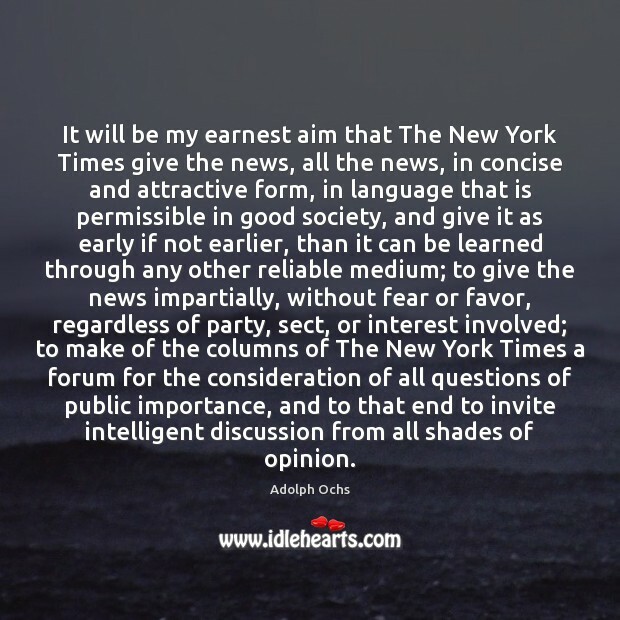 It will be my earnest aim that The New York Times give the news, all the news, in concise and attractive form, in language that is permissible in good society, and give it as early if not earlier, than it can be learned through any other reliable medium; to give the news impartially, without fear or favor, regardless of party, sect, or interest involved; to make of the columns of The New York Times a forum for the consideration of all questions of public importance, and to that end to invite intelligent discussion from all shades of opinion.